12 pink roses, 6 antirrhinum majus, gardenia leaves, white gentian, pink long carnation, not forget me, solidago canadensis. Circle packing. Please order in one advance. 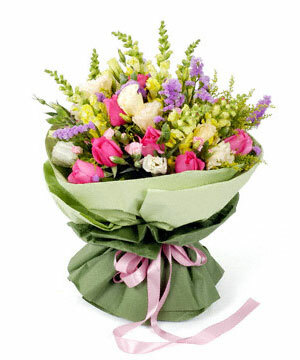 This bouquet can be delivered to Beijing, Shanghai only.